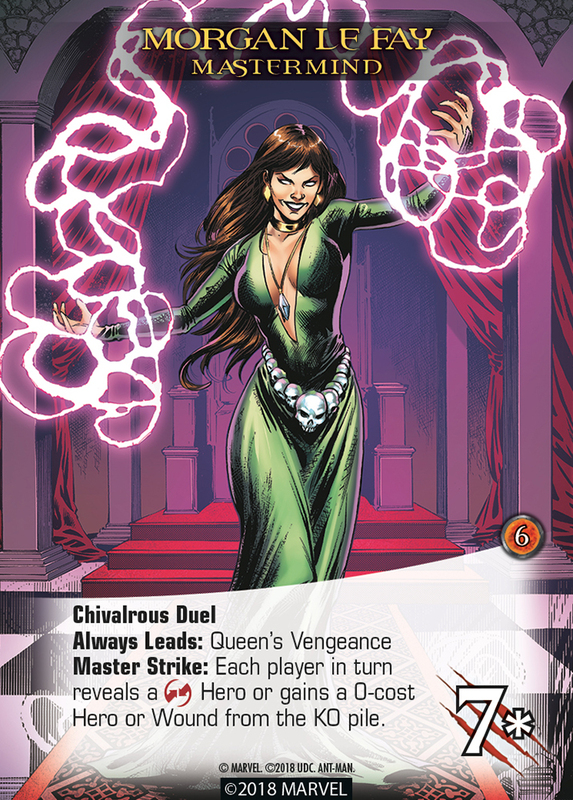 Chivalrous Duel represents how Morgan le Fay and the knights of her “Queen’s Vengeance” hail from a realm of honorable single combat. 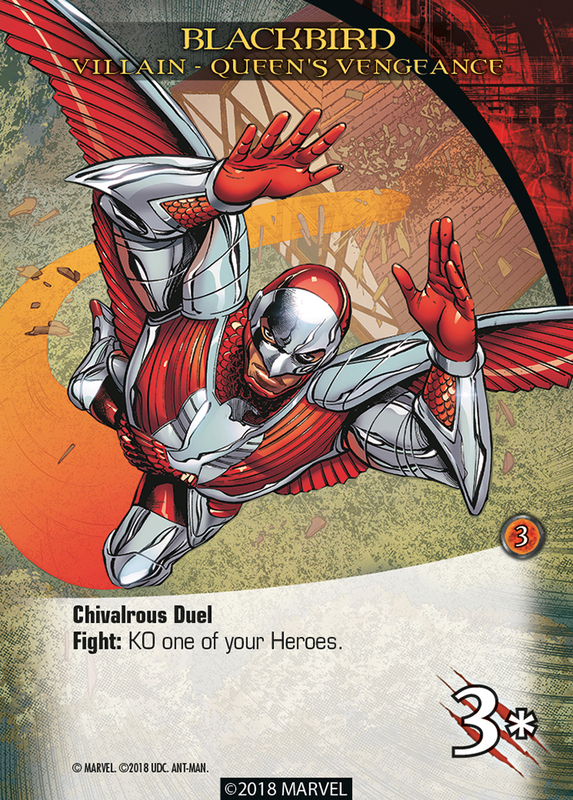 You can’t gang up on an enemy in a Chivalrous Duel – you have to pick just one Hero Name to duel the enemy. To fight an enemy with “Chivalrous Duel,” you can only use from a single Hero Name. 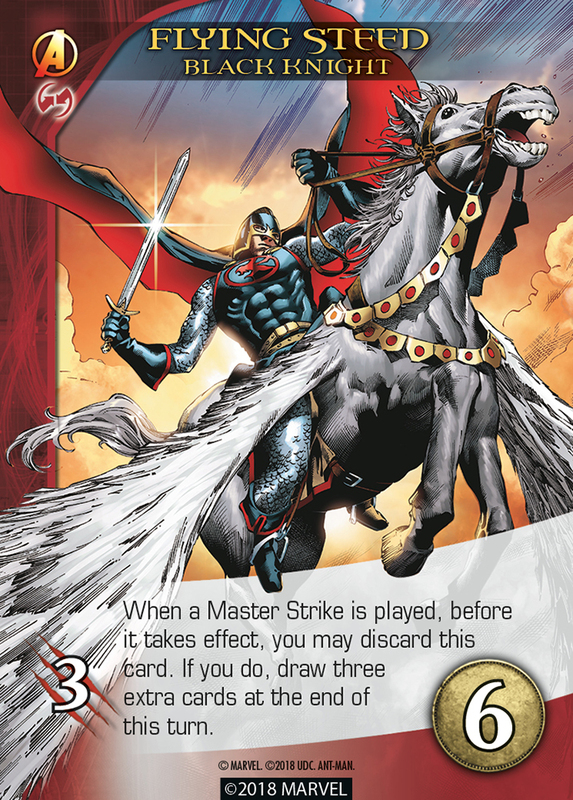 For example, to fight a 3 Villain with Chivalrous Duel, you can spend 3 from two different Black Knight hero cards. But you can’t combine 2 from Black Knight cards and 1 from a Wasp card. If a Hero like “S.H.I.E.L.D. Trooper” doesn’t have a Hero Name listed, then its Hero Name is the same as its card name. So you can play three S.H.I.E.L.D. Troopers then fight a 3 Villain with Chivalrous Duel. 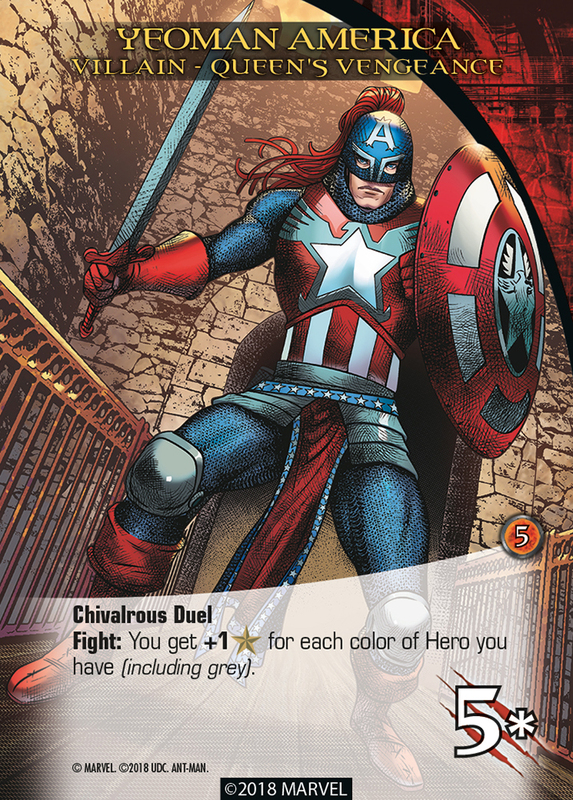 But you can’t spend 2 from Black Knight cards and 1 from a S.H.I.E.L.D. Trooper to fight an enemy with Chivalrous Duel. 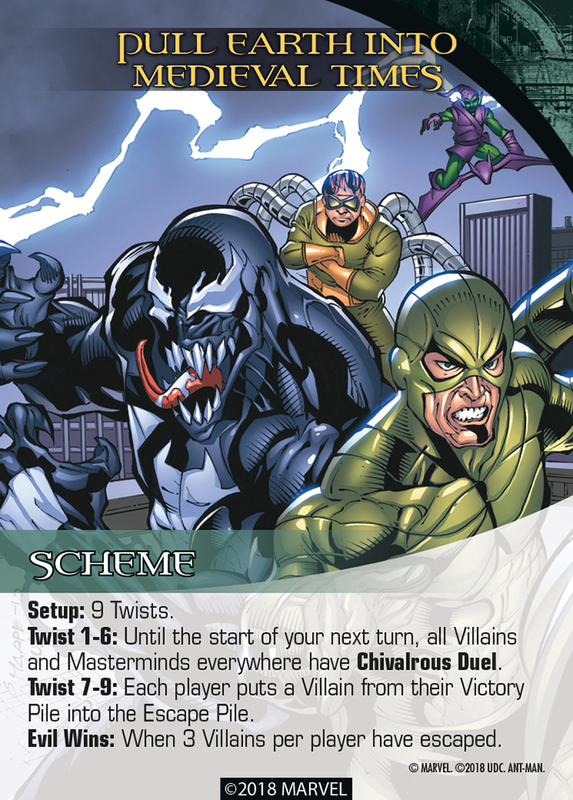 In a setup with lots of Chivalrous Duels, like fighting Morgan le Fay or the Scheme “Pull Earth into Medieval Times,” you will want to build your deck to concentrate your cards into just one or two Hero Names! 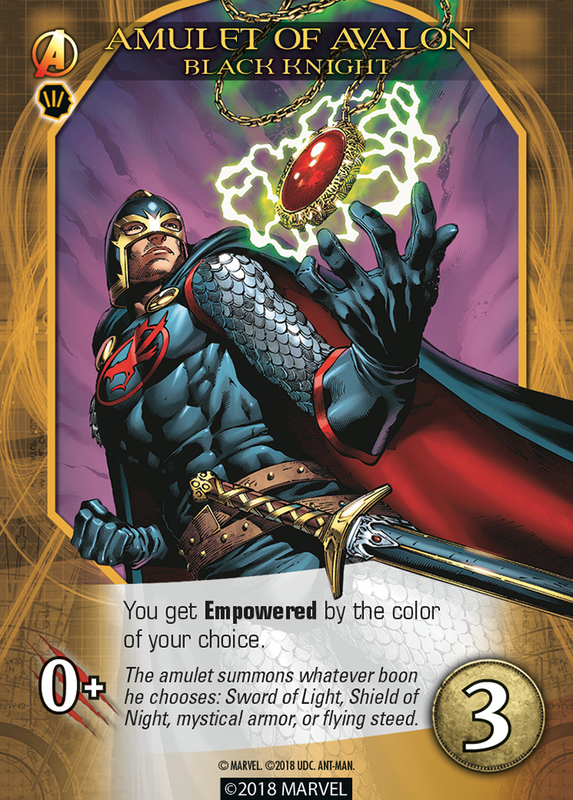 In this land of chivalry, the Villain-turned-Avenger Black Knight felt right at home. 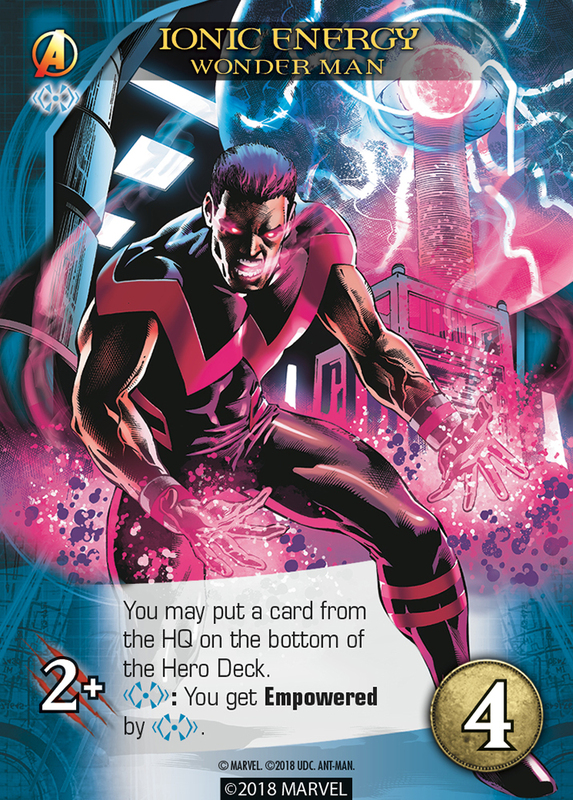 Ultimately, it was the Avenger Wonder Man who broke them free, channeling his ionic energies to break Morgan le Fay’s spell. 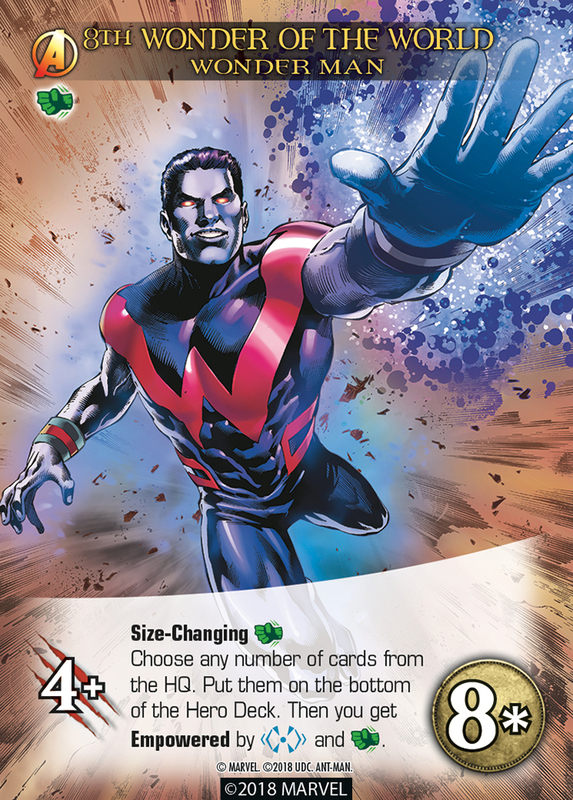 Thanks for checking out our card previews for the upcoming Legendary® Ant-Man. It releases November 7th. Contact your local gaming store to preorder your copy today. Still hanging for another preview…what’s going on? Is something up with Ant-Man?